BlackArts Racing has distinguished itself once again in Asia Motorsport, with Daniel Cao taking the 2018 Driver’s Championship this weekend at Sepang International Circuit just four weeks after BAR won the 2018 Team Championship, and teammate Antolin Gonzalez finishing 2nd in the season points. Cao went into Round 6 this weekend with a 29 point lead over S&D Motorsports driver Luo Kai Luo, with BAR teammate Antolin Gonzalez trailing Luo Kai at 3rd in the series standings, just 7 points behind. Saturday’s qualifying saw a stellar performance from BAR, with Daniel Cao taking pole for race one and Antolin Gonzalez starting 2nd, and Gonzalez on pole and Cao P2 for race two for a BAR front row lockout for both race starts. In Race One, Cao utterly dominated by finishing far ahead of the field and setting the fastest race lap in the process, to become the 2018 Asia Formula Renault Driver’s Champion with one race remaining. Gonzalez joined him on the podium finishing 2nd, and in the process moving up to 2nd in the Driver’s Championship. In Race Two, Gonzalez started on pole and set the fastest race lap, leading until the last lap when passed by teammate Cao. With the points earned for the 2nd place finish, Antolin Gonzalez took 2nd in the 2018 Asia Formula Renault driver’s points, resulting in an amazing 1-2 season finish for BlackArts Racing in the Driver’s Championship. BAR’s David Pun took 7th of 18 drivers in the season points while teammate and BAR Partner Thomas Luedi was unfortunately unable to attend the final round. BAR pilot Oscar Lee finished in the top 10 in race two despite having to start from pit lane, after a DNF in Race One from a spin in the high speed turn 12. It was his first A Class event and his first race weekend at the challenging Sepang International Circuit – though Lee had previously distinguished himself in this year’s AFR Series by earning two podiums in the Elite Class in his first year of formula racing. While BlackArts Racing has distinguished itself once again as the dominant force in Asia Formula Renault via its fourth consecutive driver’s title and third consecutive team title, the team certainly has no intention of resting on its laurels. 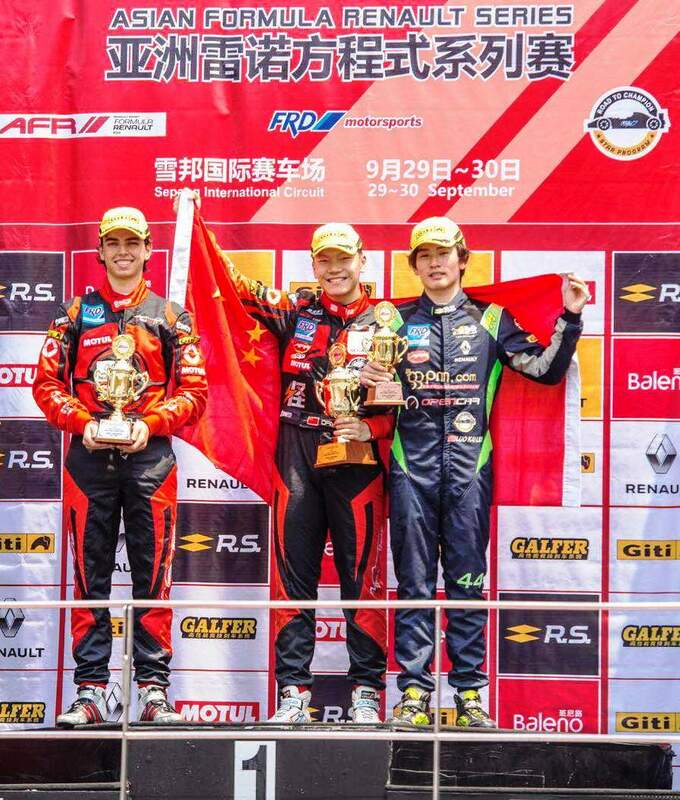 With the 2019 AFR Series set to start at Zhuhai International Circuit in March at the Pan Delta Race Festival, BAR will spend the winter evaluating and training drivers in preparation for next years’ Championship. BAR’s 2019 preparations already begin now with testing available at both the renowned Sepang International Circuit and BAR’s home track, Zhuhai International Circuit. For more information on BAR, please visit www.blackartsracing.com, or on facebook at www.facebook.com/BlackArtsRacingBAR. For further information on upcoming Asia Formula Renault winter testing opportunities in Sepang and Zhuhai please email: contact@blackartsracing.com.